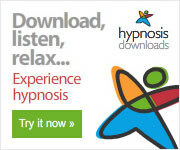 This page is only intended for people who have requested or been specifically provided access to this Power Nap session from Free At Last Hypnosis. Please do not share it with others but instead ask them to go and request it themselves through our website. This 10-minute power nap session is specially prepared to help you revitalize and rejuvenate your body and soul ready to take on the demands of the rest of your day. You should listen to this session whenever you feel that “dip” in your energy level, usually around midday or slightly after, but when you need to be as productive and creative for the remainder of your day both at work and personal family life. The session is specifically prepared to ensure you don’t stay beyond the 10-minute optimum power nap. Please let me know how you enjoy this Power Nap session. I am always eager to get feedback from people and you can contact me using the email address below or use our contact form on the Contact Page.